Don’t miss this hot listing in Danville!!! This three bedroom, one and a half bath all brick ranch is waiting for you!!!! Feel like your in the country, but just minutes from town!!! 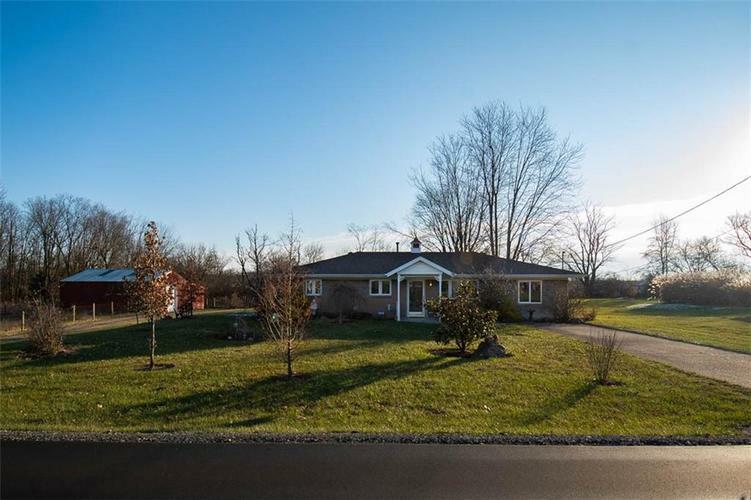 This homes sits on 1.3 acres with a barn included! You’ll love all the unique features of this home with views to die for... concrete patio right off your kitchen with sliding glass doors! Fenced in pasture attached to your 30x30 barn w/ additional 16' lean-to attached. 3rd bedroom could be made into playroom/rec room etc.. This one is a must see!!! Directions:Take US 36 East of Danville to County Road 300 E, Turn North on 300 E and follow to home on Right...sign in Yard.